I have just come back from a 500 mile cycling tour of the Picos in Northern Spain. The region’s scenery is majestic, and I found myself running out of superlatives trying to describe it. Sometimes the bicycle gets to stay in the most luxurious stable; always treated with great respect by all the hotels and pensions! 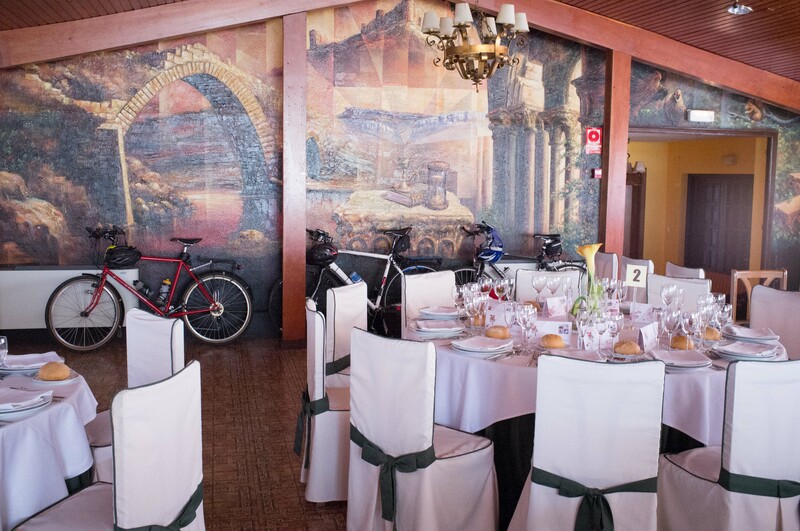 This time, it was even invited to a wedding reception! A rather baleful and impotent bear watching over the bike. Its a bit ironic that throughout history, humans have decided they needed to eradicate bears; and yet now, when they have all gone, they are so often held up as the symbols of the wild and wonderful areas they used to roam in. 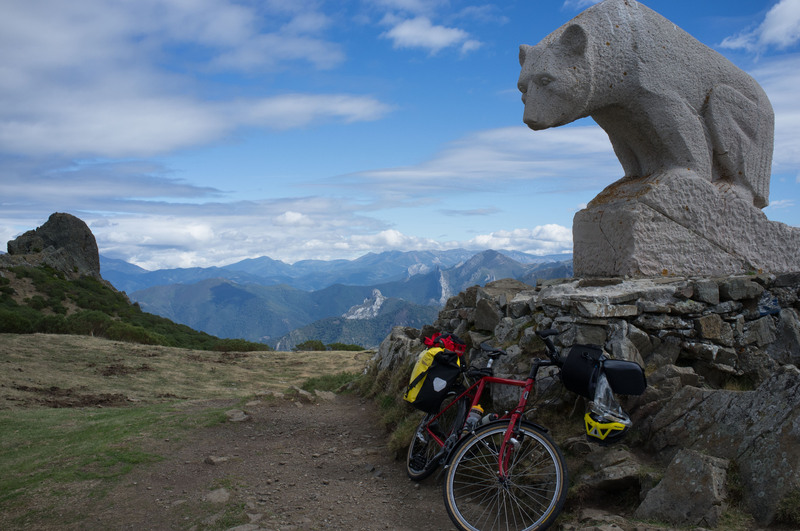 This entry was posted in bicycle, Picos de Europa on 29/10/2013 by tim strang.